a set of beliefs or a way of thinking that determines ones behaviour, outlook and mental attitude. Over the past month I’ve spoken at three different events on How To Use Your Mind For Better Results in business and sport. One was for business people and 2 were for golfers. It’s amazing how similar the approach is for golf and business despite the different contexts. There’s lots of different things I could focus on here but one key area is Mindset. A simple way to understand what mindset is, is to think about how you’re looking at your day right now. You could say that your mindset is like your state of mind or on a basic level your mood. So what’s your mood like right now? And do you think that your mood has much of an effect on your performance? Of course it does. Yet most people don’t believe they have any control over their mood/mindset. When performance is off, most people and organisations look at the ‘behaviour’ level. That is, they’ll get training for themselves or their team. Yet, if the mindset isn’t right to begin with, you can see that the training will be a waste of time and money. 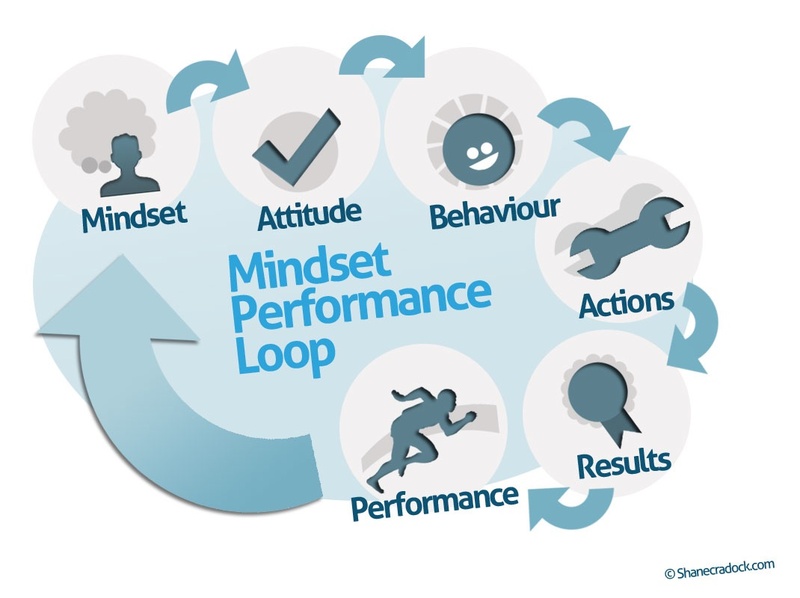 I’ll be writing more about this over the coming weeks but for now, one simple question to consider is ‘How do I change my mindset?’ Because if you can…then the effects ripple all the way down to results and performance. I’ve had many business leaders come to me looking for ‘coaching’ to regain their mojo. What they really needed of course was help to change their mindset. When that happened, then their natural talent and instinct came out and they started to change their behaviour which changed their results. 1. Exercise: If the boardroom or office is doing your head in, don’t make it any worse. Get to the gym or whatever floats your boat re exercise. Your mind is usually very different after a great work-out. I train in eduocgym 3 times a week and I do it more for my mind than for my body. 2. Music: I defy anyone to listen to the ‘Rocky’ theme and not be affected in a positive way by it. I recently met a high level sales director who told me he listens to that exact theme every time he needs to be ‘in the zone’. Music works. So when your mindset is ‘off’ turn off the news, and turn on some inspiring sounds. 3. People: A problem shared is a problem halved…only if you share it with the right person! i.e. not the type who will revel in your misery. Get around inspiring positive energy people. Their vibes will rub off on you. 4. Take a Break: With so much change going on these days, it’s vital to get proper down time i.e. no email, no phone, no work. Stepping away from everything in a 24/7 connected world is hugely important and can work wonder on your mindset. 5. Practice Relaxation: Mindfulness seems to be the new buzz word. I’ve been rattling on about the benefits of relaxation and a mindful approach for years. There are many ways of practicing relaxation (meditation, audios, mindfulness etc.) but to have a real benefit on your mindset you need to practice something daily. Our minds can get so busy with work and life that it’s vital to have your own personal strategy to clear it on request daily. Nothing earth shattering I hear you say? And they’re not. But if you don’t really value your mindset then you’re probably not doing the above.